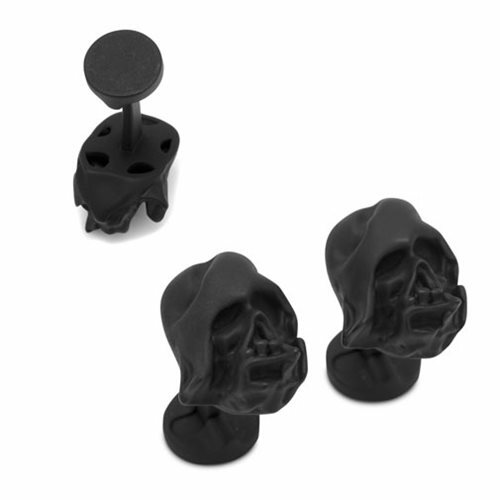 Add these unique and menacing Star Wars Darth Vader Melted Helmet 3D Cufflinks to your wardrobe and impress friends and fans of Star Wars. Featuring the melted helmet of Darth Vader as seen in Star Wars: Episode VII - The Force Awakens as a result of the actions in the previous episode, these cufflinks will spiff up your outfit. Measuring approximately 3/4-inches tall x 5/8-inches wide, they are made with matte black plated base metal and feature a round swivel closure.